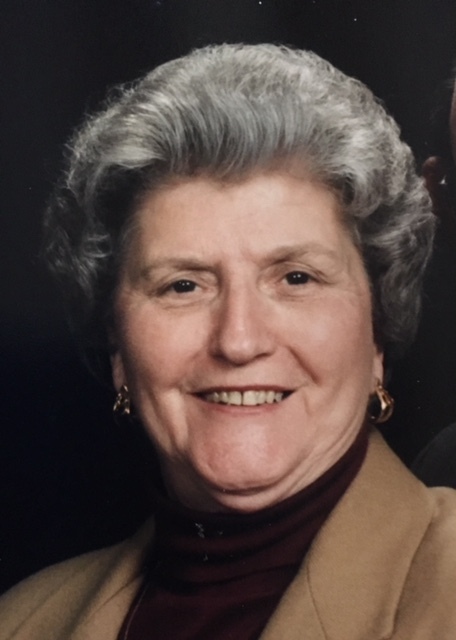 Boliek, Annie Madeline Collier, age 91, of Drakes Branch, VA, passed away on April 16, 2018. She was preceded in death by her husband, of 55 years, William Howard “Billy” Boliek; one infant son; her parents, Lee Roy Collier and Lottie Hailey Collier; sister, Marie Collier Thompson; and a brother, Lee Roy Collier, Jr. Surviving are her son, William Collier Boliek of Keysville, VA; daughter, Beverley B. Jones and husband, Kolen S. Jones of Chesterfield, VA; daughter, Susan B. Blessing and husband, Donald C. Blessing of Farmville, VA; four grandsons, William Garold Martindale and wife Micheline of Berryville, VA; Brian Collier Jones of Baltimore, MD; Stephen Bradley Jones of Chesterfield, VA; and Jon-Logan Jones of Dallas, TX; two great-granddaughters, Lucy Mae and Annie Sommer Martindale of Berryville, VA; two step-grandsons, Jason A. Blessing of Syracuse, NY; and Nicholas S. Blessing of Ashburn, VA; and a very special “Adopted by Love” daughter, Dennis Evelyn Young of Richmond, VA.
Madeline was a member of Drakes Branch Baptist Church where she served in many capacities during her years of attendance. She served as Deputy Treasurer for 12 years prior to being elected in 1972, as Treasurer of Charlotte County, working until her retirement in 1999. She was an active member of the Treasurer’s Association of Virginia and served as its Secretary for 6 years. In 1991, she was named Treasurer of the year for the State of Virginia. In retirement, she was instrumental in organizing the Retired Treasurers of Virginia, and served as its Secretary for 4 years. The family wishes to express their appreciation to the staff of Brandermill Woods for their compassionate and loving care given to their mother. In lieu of flowers, donations may be made to The Charlotte County Rescue Squad, or the Drakes Branch Fire Department. Funeral services will be held on Friday, April 20, 2018, at the Drakes Branch Baptist Church in Drakes Branch, VA, at 11 a.m., with visitation at 10 a.m., prior to service. Burial will be held at the Evergreen Cemetery in Charlotte C. H., VA, immediately following the service. Browning-Duffer Funeral Home of Keysville, VA, is in charge of the arrangements. Paddlin was a grand person. It was an honor to have been her friend! Blessings, peace, love and thoughts to all of you! I loved her. Madeline was like a second grandmother to me. I will miss her very much. She took me under her wings as I began working with the Treasurers’ Association back in the 1980’s. She and Billy were very special people. I remember sitting with her in the hospital during Billy’s last days. I feel so sad that I won’t be able to pay my last respects in person due to prior commitment–I will be at a conference out-of-state. God bless you all and keep you all in his tender loving hands. I always find much comfort in the hymn “I know that my Redeemer lives” It is sung at funerals in my family. 8 He lives, all glory to His name! May these words comfort you all as they comfort me at the loss of a very dear and much loved friend. This lady lover her God, family, and county like no other. She was a true Southern lady. She was a good friend. She treated everyone with respect and never a harsh word. They broke the mold when she was born! It was an honor to know her and count her as your friend. Madeline was a special lady and I always enjoyed being in her company. Our “Meherrin Group” will really miss her as she was so faithful about attending our monthly gatherings as long as she was able. She was one of 3 women that started this group & was loved by all. So sorry for your loss , praying for your comfort.. I am so sorry for your loss!!! Much love and prayers lifted up for you and your families. I send my deepest condolences to you and your family. May God bless and comfort each of you during this time. I will always remember with great joy the special times I spent with Madeline . I loved her dearly. She will always live in my thoughts. Thinking about you all.